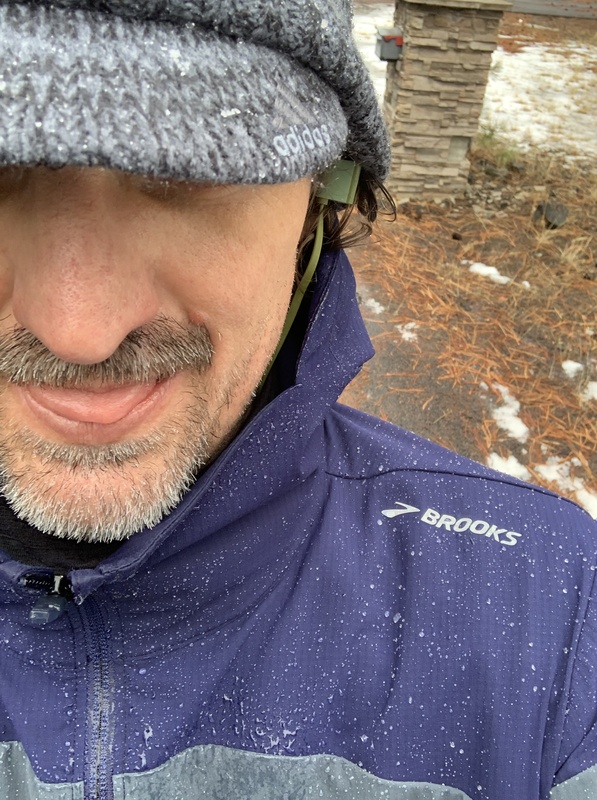 As i look outside it is nasty out, rain and snow combo, streets look wet and as i gear up for my run first item I grab is my Brooks canopy jacket. I think to myself can this thing really hold up to the test? Then I remember this is the same jacket Desi Linden wore when she won Boston in miserable weather conditions.